Fire sprinkler system testing can be tricky. 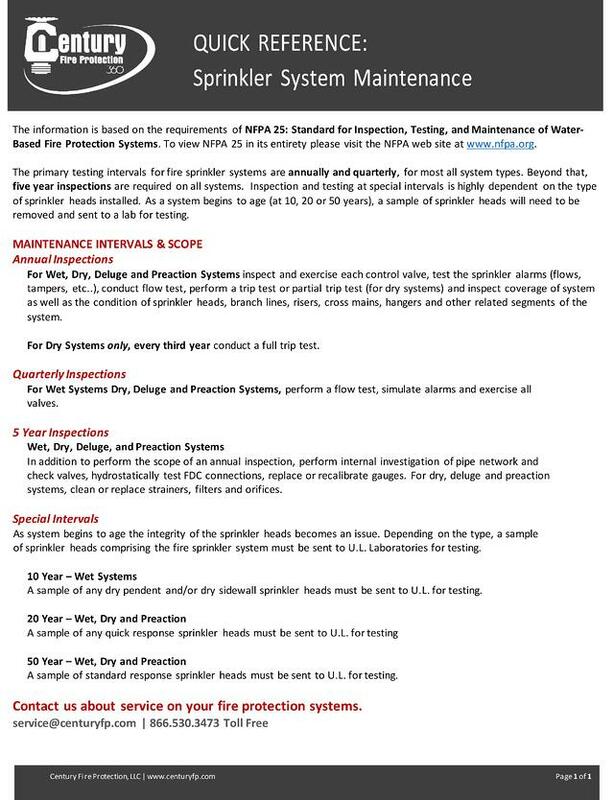 Quickly view the requirements and scope of fire sprinkler system inspections and maintenance per NFPA 25. Also, you might want to check out The Ultimate Fire Sprinkler Maintenance Cheat Sheet a helpful chart on required inspection and maintenance intervals. Contact us if you need help with your fire systems or service. © 2014 Century Fire Protection. All rights reserved. Marketing services provided by Brand Acceleration, Inc.